Ready to have some fun? You bring the neon shorts, leggings and big hair and well bring the live music, dancers and awesome course music! Run back to the future with us at the Awesome 80s Run! Awesome 80s themed run benefiting Free Hugs Project and Honor Flight San Diego. All participants receive a Rubix cube finisher medal and a souvenir T-shirt. RAD REASONS TO RUN, WALK OR BOOGIE! Run around the historic Rose Bowl! Flat, fast and awesomely cool! ACE Parking Lot behind the Convention Center. 600 CONVENTION WAY. Cost is $10 cash or check or $15 credit. ACE PARKING LOT next to PETCO Park at 58 N. 11TH AVENUE . 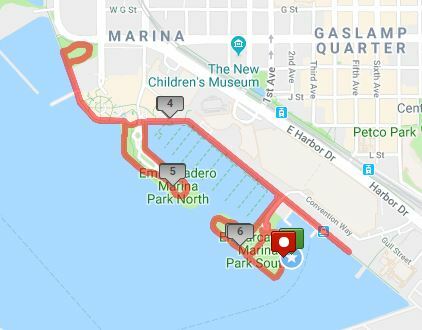 The pedestrian bridge by that parking lot will take you over Harbor Drive to the Hilton Hotel where there is a bayside sidewalk that will take you to Embarcadero Park South. Interested in helping out? Whether you’re an army of one or many, we want you to be a part of the fun too! We are looking for volunteers that are enthusiastic, fun-loving individuals that want to give back while having fun. Make friends, have fun, and help out a great cause. Dogs are allowed in Pasadena, however, they are not allowed in San Diego. Unfortunately, our Mission Bay permit does not allow for dogs. Service dogs excepted. Nope – take your time! Awesome 80s Run will take place rain or shine. However, if conditions are determined by city officials to be unsafe, the race will be rescheduled. No refunds will be made. 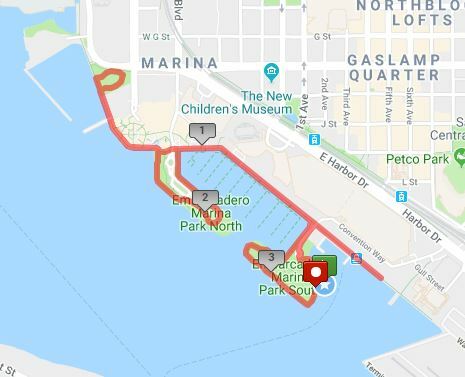 How was Awesome 80s San Diego – 5K & 10K?